This is the recent tour of Italy. Will try to upload photos and news media anon! Wed. June 11 – 9 pm – Milan – SPAZIO CONTEMPO – Via privata Della Braida 1 (viale Caldara MM Porta Romana). Stefano Buratti (bs), Mimmo Tripodi (dms), Giovanni Monteforte (guit). Carol on tenor sax\flauto. 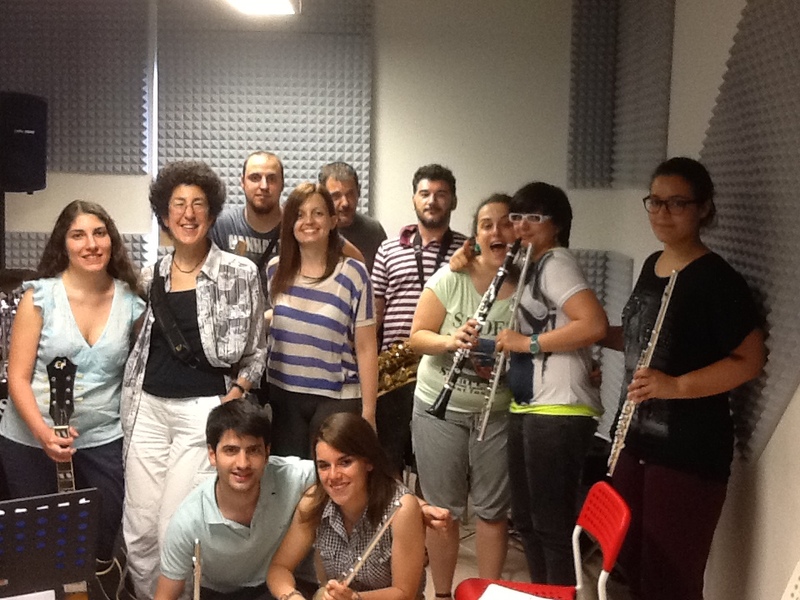 6/14 – Masterclass, Jazz Improv., Carpi. Scuola di Musica Musike’, Via Lago di Carezza 14, Carpi 41012. Time 10-noon, 2-4 pm. You are currently browsing the Carol Sudhalter blog archives for the day Wednesday, July 2nd, 2014.